Good friendship is always a treasure, never a pressure. 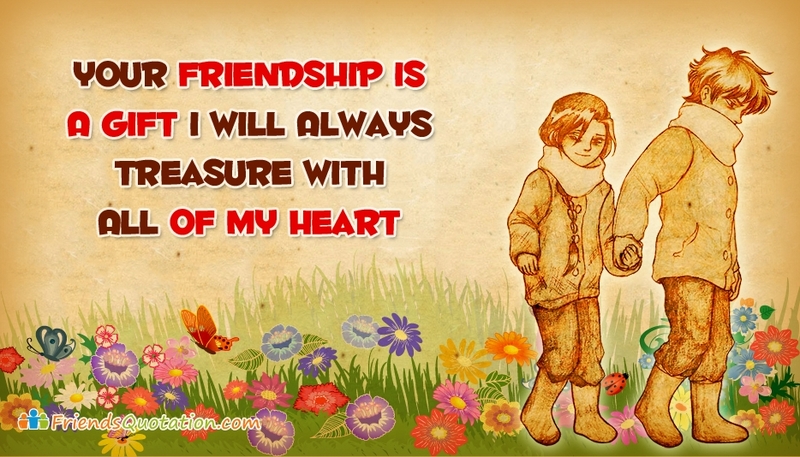 This friendship clipart quote would be the perfect one to dedicate and show your friend how much you value him/her. Don't wait to project your heartful affection for your friend till friendship day. Celebrate and cherish your best friend every now and then. The quote "Your Friendship is a Gift I will Always Treasure with all of My Heart" would be apt to make an appealing dedication to your friend.